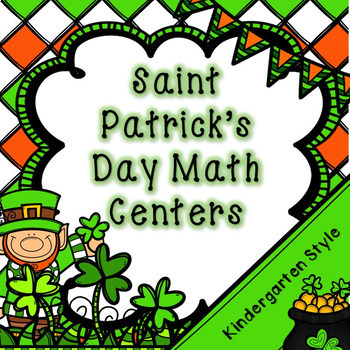 This package includes 7 Math centers that are perfect for celebrating Saint Patrick's Day! Each Center includes a response sheet for student accountability. Your students will love this St. Patrick's Day fun! 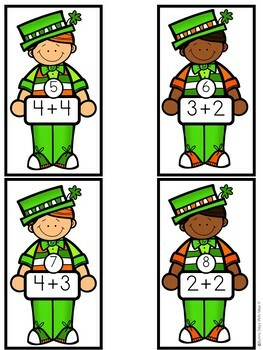 This product can be purchased at a discounted price in my Saint Patrick's Day Math and Literacy Bundle! Pot of Gold Teen Numbers- Students sort coins to match teen numbers. Coins show tally marks, place value blocks, ten frames, number words, dice, and numerals. Lucky Nonstandard Measurement- Students use shamrocks to measure each Saint Patrick's Day picture. 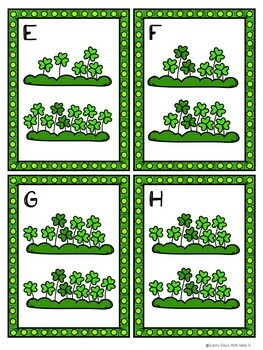 Shamrock Addition- Students choose a card and solve the equation. They find the card number and use a bingo dobber to mark the correct answer on their paper. Missing Numbers- Students use the shamrock numbers to fill in each missing number. Numbers 1-40 are represented. Count the Room- Students find shamrocks in the room, count the shamrocks, and record the results on their response sheets. Rainbow Number Words- Students complete the rainbow puzzles to match number words and digits. This center can be completed in a pocket chart. 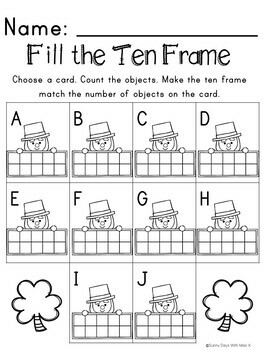 Fill the Ten Frame- Students choose a card, count the objects, and make the ten frame match the number of objects on the card. Check out my store for more fun centers! Click here for St. Patrick's Day Crowns!